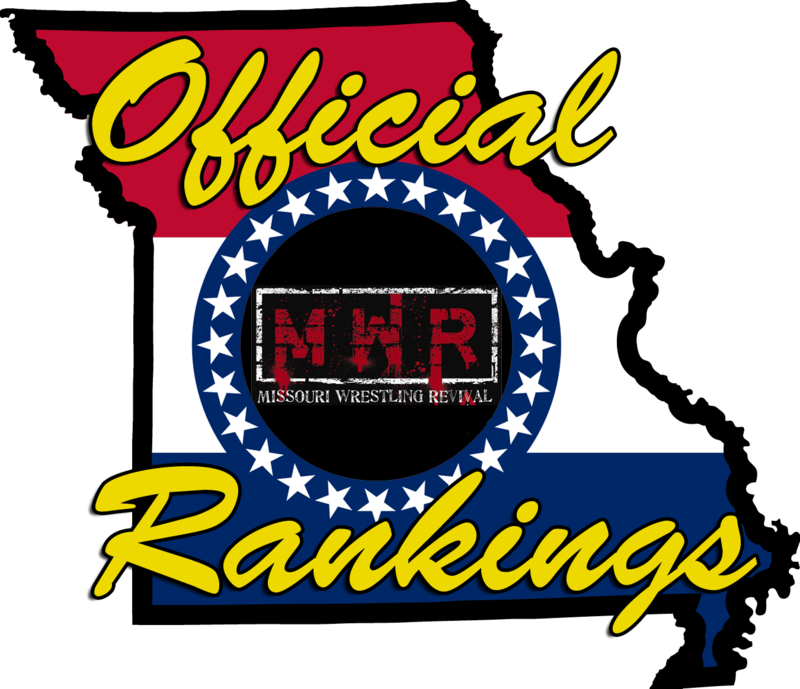 The new Official Missouri Rankings list, good through October, has been calculated and published. Head over to the MO Rankings page for the latest publication. To qualify for the Top 10, a wrestler must have the highest ratings with consistent activity (RD ≤ 200). Rankings are published every two months. CBrandon Espinosa is on an eight-match winning streak since his Missouri Title victory in May. Even though Espinosa sometimes picks his opponents, his cross armbar and brainbuster have guaranteed victory. There is no doubt that Espy is a wrestling workhorse in the State. #1Ricky Cruz pinned “Superstar” Steve Fender in July (Fender later became the first New Breed Wrestling champion) and is knocking on the ceiling for a rematch with Espinosa. Since the closing of the Stratford Bar & Grill in Fenton and thus Dynamo Pro’s diminished Missouri schedule, the supposed rematch would probably have to take place outside of Saint Louis. #2Gary Jackson and #4Mitch Johnson traded slots for this update. Jackson made B.T. Daramola tap out at South Broadway, while Detroit’s Johnson was pinned by NWA National Heavyweight Champion “Golden Boy” Greg Anthony. #3Jake Dirden has been competing for the new Cape Championship Wrestling. “Dirdey” lost his shot at the title in Cape Girardeau against the relatively-unknown Brandon Barbwire. Dirden holds his position. Despite defending his Dynamo Pro D-1 Title in Illinois, #5Outtkast did nothing in Missouri this period. He still advanced two steps due to the following two instances. Trevor Murdoch hasn’t wrestled a singles match here since March 26. The WLW Heavyweight Champion is inactive and so the former #5 drops from the rankings. #10Brian James stumbled four rungs down after trading matches and the MMWA TV Championship with underdog Danny Adams. #6Leland Race rises four spots after beating Kyle Roberts and Brian Breaker. 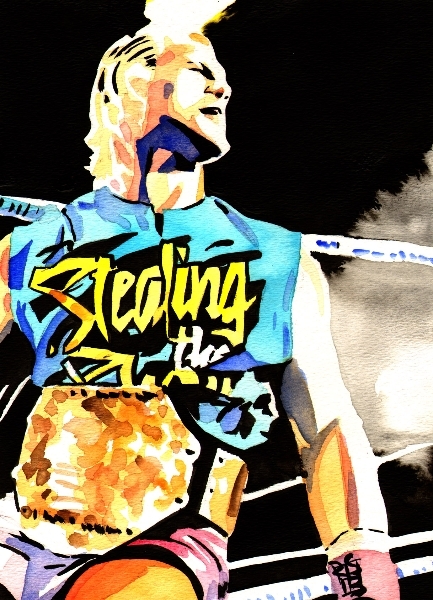 With Murdoch absent, when will Race get his next WLW title shot? Welcome back to #7Jon Webb, who is the first WLW Junior Heavyweight Champion after he clinched the tournament final against Jayden Fenix in St. Peters. #9Mike Outlaw and #8Moondog Rover swapped from last time. Outlaw lost his MO Title match against Espinosa; Rover didn’t have a match. Worthy of mention: Outlaw beat Dirden in Illinois for the Dynamo Pro Title. That match is not factored into this list. This entry was posted on September 7, 2016 at 11:28 pm	and is filed under Uncategorized. You can follow any responses to this entry through the RSS 2.0 feed. You can leave a response, or trackback from your own site.